As the leaves begin to change and fall fades into view many gardens peak out and begin to die out for the year. I just wanted to take a minute and post about some exquisite garden gates that we have available for sale. Why not take these fall months and add a beautiful gateway to your estate garden? 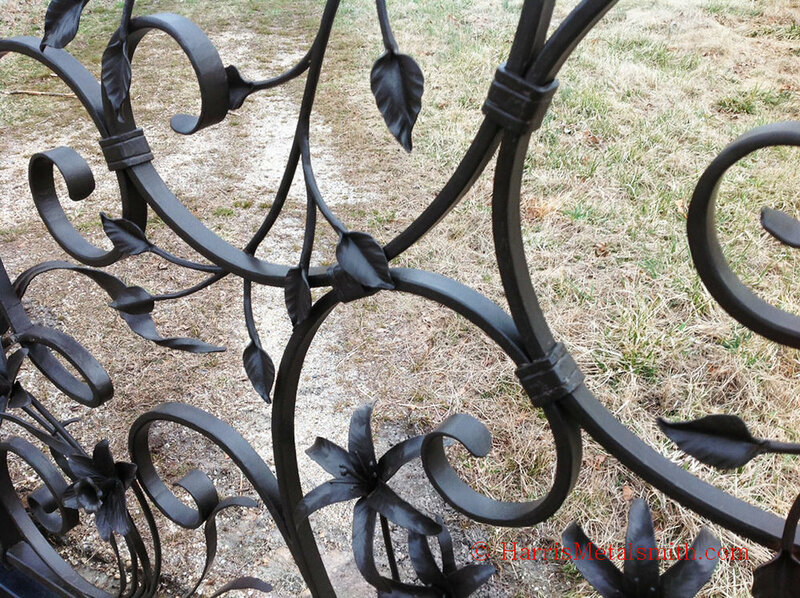 These gates are entirely hand forged and feature an array of beautiful flowers. Please email or call the studio to discuss pricing and installation options. These gates were designed to be hung between 2 stone pillars, they are displayed here on a temporary stand. 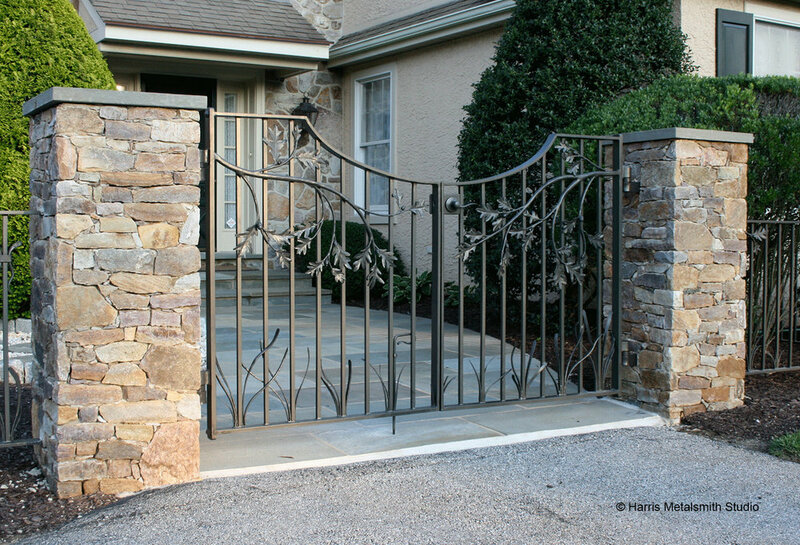 We envision the above gates installed similar to this.